Q&P: Where were you born? DR: I was born in Switzerland, did all of my studies in Geneva. I was always interested in micro mechanics; it was part of my engineering education. Q&P: How long have you been working at Jaeger-LeCoultre? DR: Two years as head of production, before which I worked at Richemont for a year as a consultant and before that 12 years for Rolex. 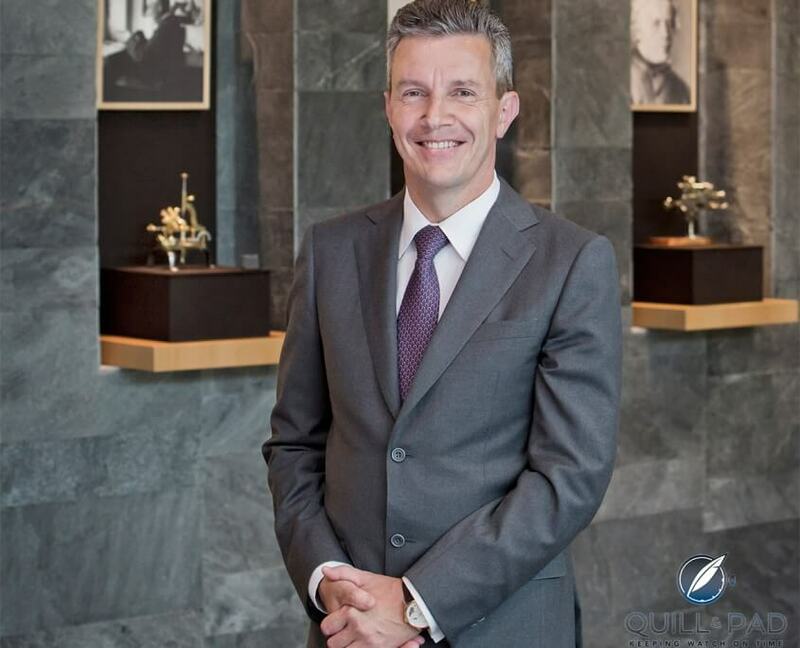 Q&P: What have your impressions been of Jaeger-LeCoultre as its new CEO? DR: Very positive, mainly because of the involvement of the people for the products, for the brand. It’s very, very strong. In the workshop, the ambiance is very good; it’s very impressive. Q&P: Do you plan on making any changes? DR: One thing we have already done is to develop an internal watchmaking school, in order to push the level of our watchmakers’ complicated watchmaking to new heights and start them working on these types of movements much earlier. Q&P: So there continues to be demand for high complications? DR: Yes, and not just tourbillons. Especially for sonneries. Very interesting. I am fairly new to JLC having just purchased a pre-owned Reverso Duo. The watch is beautiful and the craftsmanship is fabulous. It seems like they had quite a few new and exciting offerings at SIHH. By the way, I really enjoy your new website! The articles are very interesting and the photos of the watches fantastic. I will definitely be a frequent visitor to your site. And I may offer a comment here and there!